We are providing Iodine Flask. Our product is broadly admired by clientele owing to their strong structure. 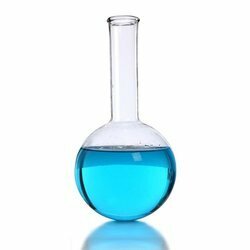 Leveraging on the capability of our adroit workforce, we are profoundly involved in bringing forward a comprehensive assortment of J Sil Volumetric Flask. Item code: V-136MADE OF PTFE. For use with and dispensing of virtually all chemicals un breakable inert properties of PTFE facilitate easy of pouring due to non-stick, non absorption properties. Capacity : - 25 ml. 50 ml. 100 ml. 150 ml. 200 ml. 250 ml. 500 ml. Our company holds vast experience in this domain and is involved in offering Multi Neck Flask.